Hanok does not require much space, in fact only 7.5 x 7.3 metres. Nevertheless, the Hanok system has numerous play activities. Among other things the swaying bird’s nest, which is an integral part of the play environment. 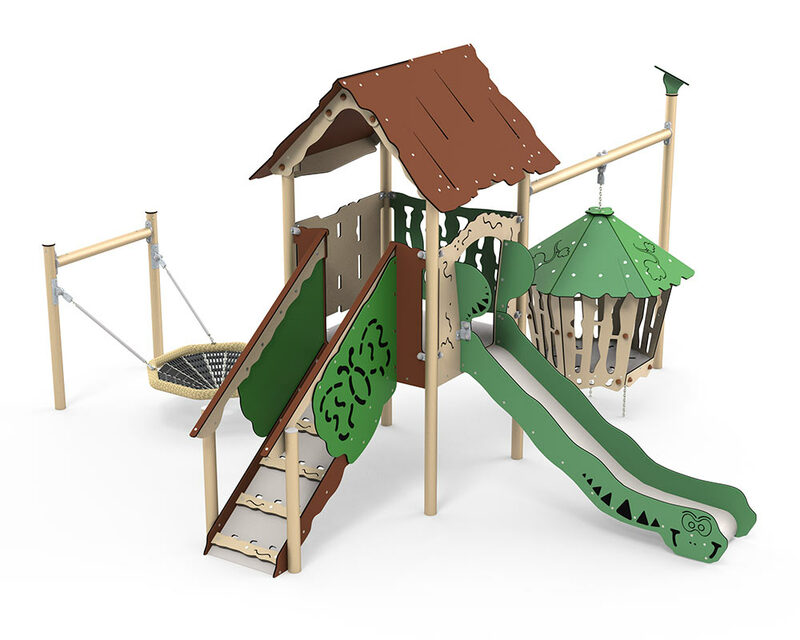 The bird’s nest is often only seen with swings, but here it can be used as a cosy corner for older children, although toddlers also enjoy the swinging sensation. When the bird’s nest is secured on both sides, it cannot roll upside down. Hanok has one of the children’s hot favourites, the swinging jungle hut. The jungle hut was developed to meet children’s wishes for a den, where they can hide away and exchange secrets. The swinging sensation makes the jungle hut experience even more fun.